and the biggest laugh of the evening was when Edmund actually climbed down into, and walked through the waist deep water of the pond leaving the Tuileries Gardens as he walked towards the Champs Elysees. The massive rebuilding of London, Rome and Paris was covered with the creative use of historical prints, overlaid with current (1983) film. The use of three obelisks (columnar monuments) in Rome as focal points to encourage growth around them was fascinating and instrumental in creating the corridors that form a major axis in the city today. The discussion with the audience generated some interesting thought as did the conversation in the lobby afterward. Could we compare the investment in our LRT system with the three obelisks in Rome? As we see more development around the LRT stops, the public infrastructure investment is prompting private investment at those nodes just as the obelisks did. Thoughts on the three world cities (London, Rome, and Paris) that might be the subject of a similar series done today prompted a range of answers. Portland, Hong Kong, Shanghai, Singapore and Rio popped up, with many people agreeing that the important cities of today have seen a shift to the megacities of the east. What could we learn about city evolution that, as Edmund proposed for London, Rome and Paris, would be relevant for us here in North America today? Attendance for the second event was terrific and we were very pleased to see so many new faces of all age groups. At the beginning we announced that for each event we would have a video camera set up (as part of our Yyc neighbourhood series) and everyone was invited to share their thoughts on new ideas that our staff in PDA are working on. With initiatives moving forward on laneway housing and the cities 20+ commercial corridors, we hope attendees will help set the direction for our work. 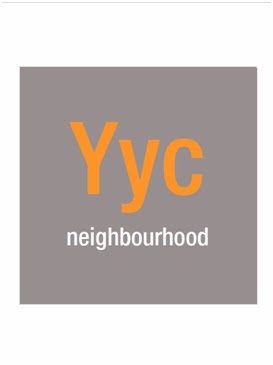 We also encouraged attendees and anyone with an interest in cities, to go the Planning Development Assessment web site and sign up to our Yyc neighbourhood email list. We hope to compile a list of as many people as we can who are interested in any aspect of city life and building. Let us know what interests you from parks to architecture to how we use our sidewalks. When we are working on anything that interests you we will let you know and get you involved in helping us shape the future of our great City. Next Wednesday we present the last of the Bacon films, City of the Future and then shift direction with the film Where Do Children Play? The first film is fascinating as it picks up on Rachel Carson's pioneering theme of environmentalism, and uses clips from the 1920's film Metropolis, to talk about the city of the future. Where Children Play? is guaranteed to prompt some deep thinking from the audience, especially when the activity of children today is tied back to their built environments. We look forward to seeing everyone and more next week, and come prepared to share your thoughts on a range of city building ideas and don't forget to share those ideas on video and sign up to our ‘Yyc neighbourhood’ email list.